Have you jumped on the green smoothie bandwagon? You know, the ones with spinach or kale or wheat grass in them. I don’t find them appealing…like, at all. 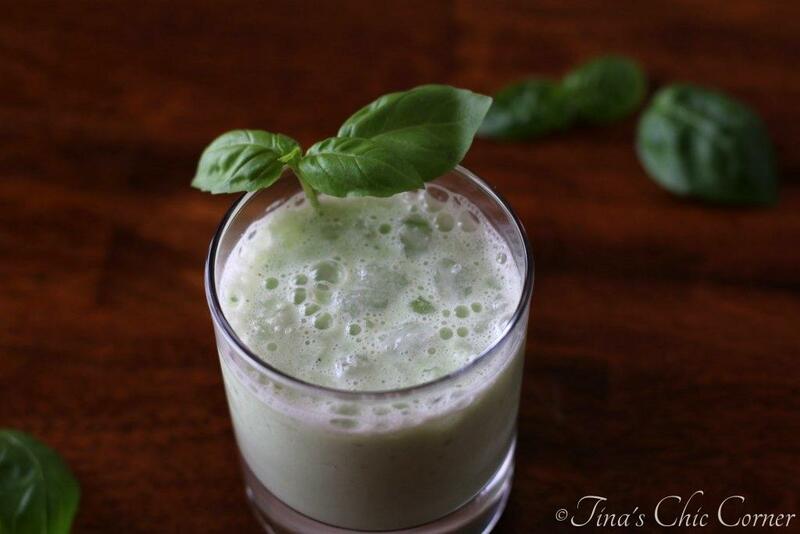 Have you ever thought of a basil smoothie? Now that’s a green smoothie I’m all over! 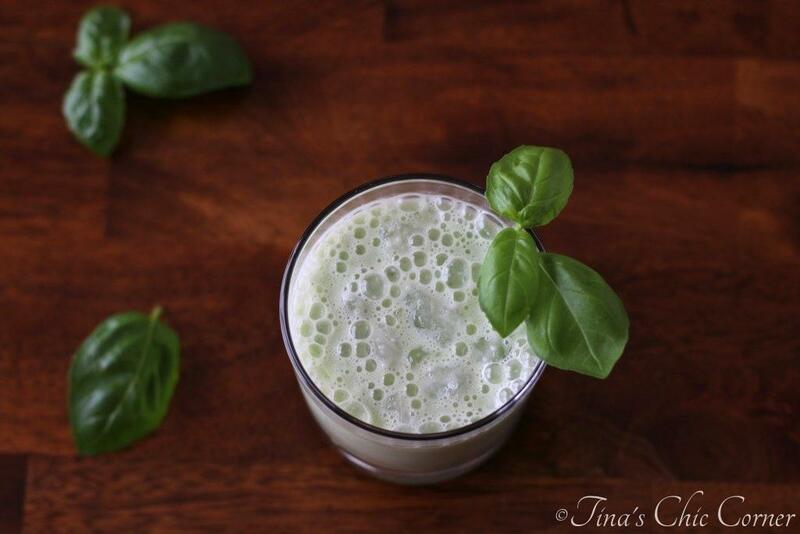 This gorgeous green drink is full of wonderful sweet lemon and basil flavors. In a small saucepan over Medium heat, combine the water, sugar, and lemon zest. Stir all the ingredients together. Bring it to a boil, then reduce the heat and simmer for 5 minutes. 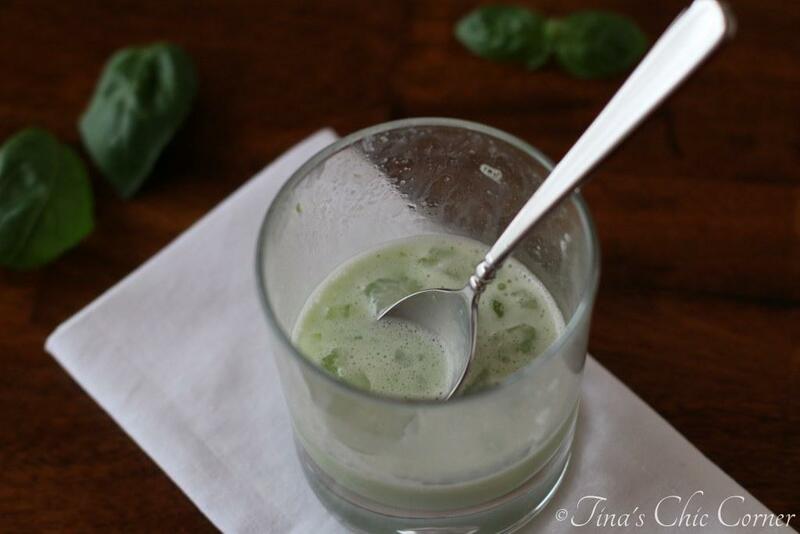 In a blender, combine the yogurt, basil, ice and (cooled) lemon simple syrup. 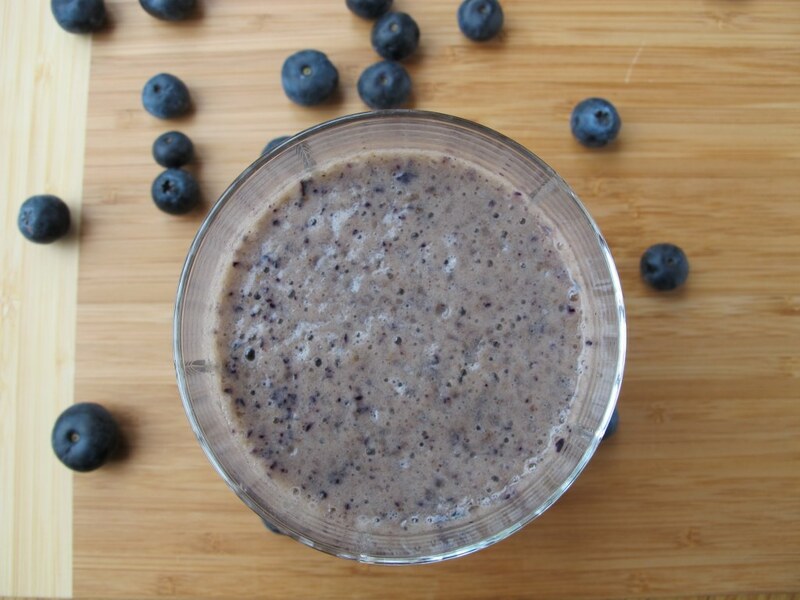 Blend all of the ingredients until it’s smooth and frothy. You make the lemon simple syrup first. The lemon zest takes ordinary simple syrup and packs a bright punch of flavor. You could even use this lemon simple syrup in iced tea. Yum. Once the simple syrup has cooled, add all of the ingredients into the food processor. As a side note, you can strain the lemon zest from the simple syrup before adding it to the blender, but I kept it for the enhanced flavor (and because it didn’t change the texture). Lemon and basil are awesome combo! 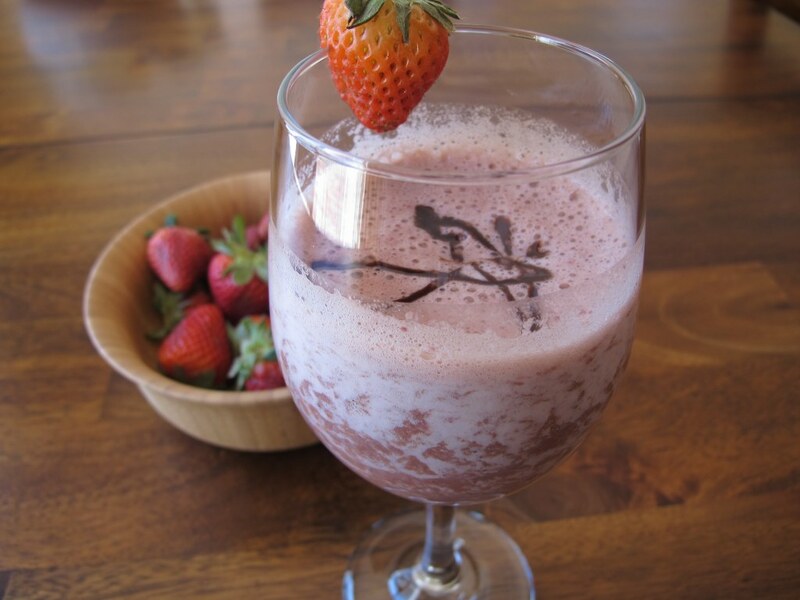 The yogurt is an awesome source of protein and makes this smoothie extra creamy. The sweetness from the lemon simple syrup helps to balance out the tartness from the Greek yogurt and sharp herbal flavor from the basil. I know what you may be thinking… “green smoothie = healthy.” I wish I could claim that is true here. (And I almost can except for the high sugar content.) I can however say with a straight face that there is NO high fructose corn syrup or scary ingredients that you don’t know how to pronounce. 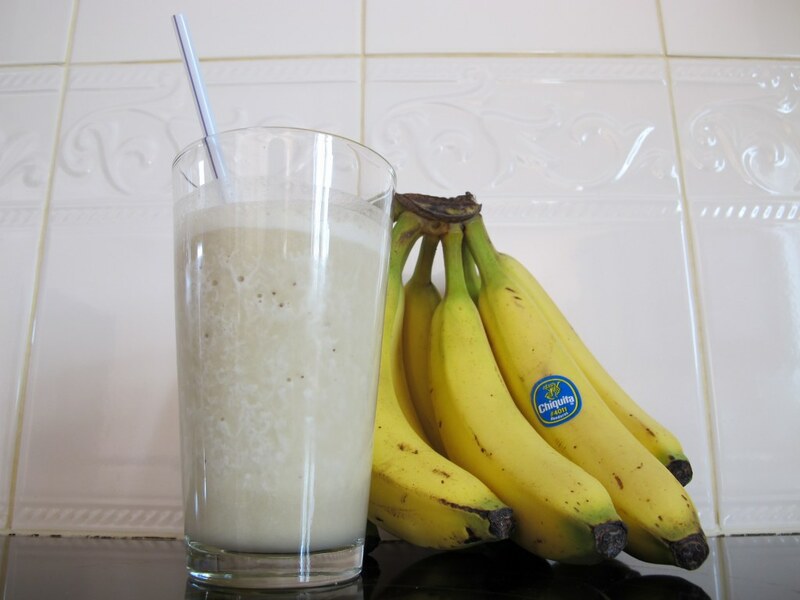 The flavors in this “green” smoothie make this a totally refreshing summer beverage, but I didn’t want to wait until then to share it with you, and it was just as great even when it’s cold out. Have you ever made green smoothies? If so did you cheat like I did here or was it all full of healthy things? Here are some of my other favorite drinks. Basil goes SO well with everything sweet. Can’t wait to try it! Agreed! I love basil in savory or sweet. I hope you like it as much as I do. This sounds so interesting! I would have never thought to add basil to a smoothie, but why not? It’s so sweet and full of flavor. Poor basil has been totally overlooked. Add a little lemon vodka, and I bet this would make a good cocktail too. So creative! I’ve honestly never made a green smoothie before… they just don’t seem appealing to me although I know can be super healthy. Love the combo of basil and lemon here. Super yum! This is so interesting! I like green smoothies but have never though to add basil! I bet it’s so refreshing! And with the lemon … I need to try this! I’ve done green smoothies but never much with basil – what a unique and fun twist! i love basil paired with a hint of sweet, so I’m pretty sure I’d love this!! It would definitely trump all other green smoothies. Well, now you have encouraged me to jump on the green smoothie wagon, my friend! I can’t express to you enough how much I LOVE fresh basil! Can’t wait to have some of this. Pinned! What an original idea! I love the lemon/basil combo! This is so creative! Love the flavor combo! This does sound refreshing… I would have never thought of that… looks good! Haha, me and my mom were just talking about this! Smoothies that are green aren’t *supposed* to be as good … how could anyone NOT like these flavors? You made it look even better through your photos! 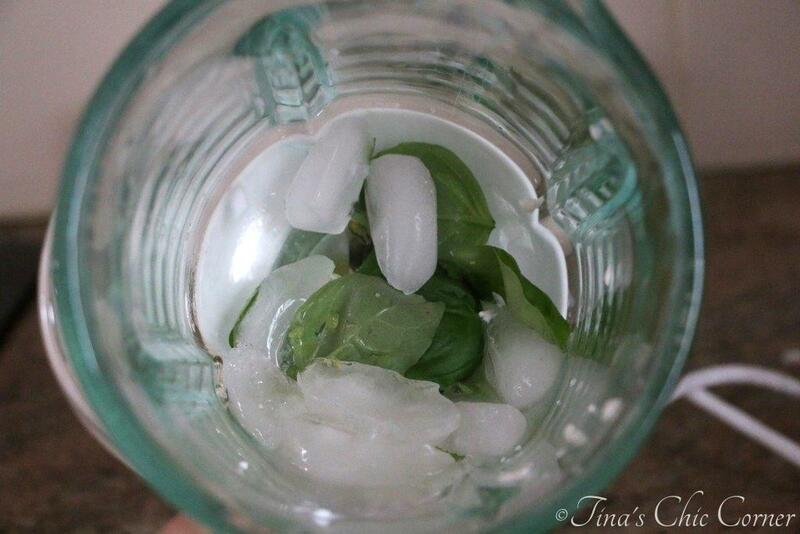 I would not have thought to make a basil smoothie, but it sounds really tasty and refreshing. Great idea, Tina! I love smoothies so much. I hadn’t thought to add basil, but I bet it is very refreshing.